IMPORTANT! If you plan on adding videos to your listing, please make sure that the videos belong to you. We DO NOT allow or want to promote a video that is the property of someone other than yourself. 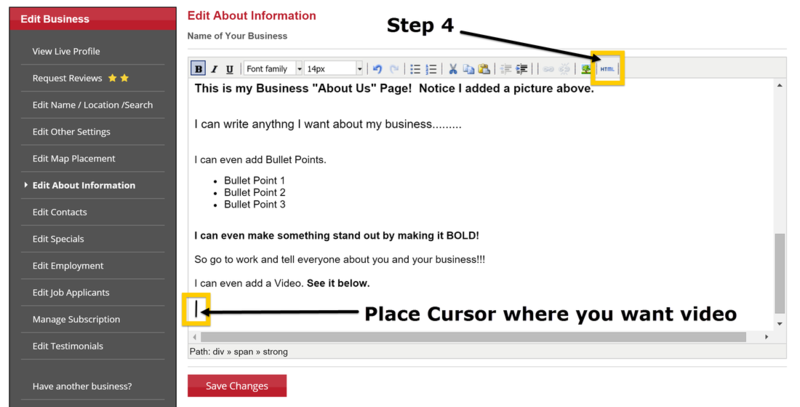 We also want you to use discretion when you post a video to your listing. 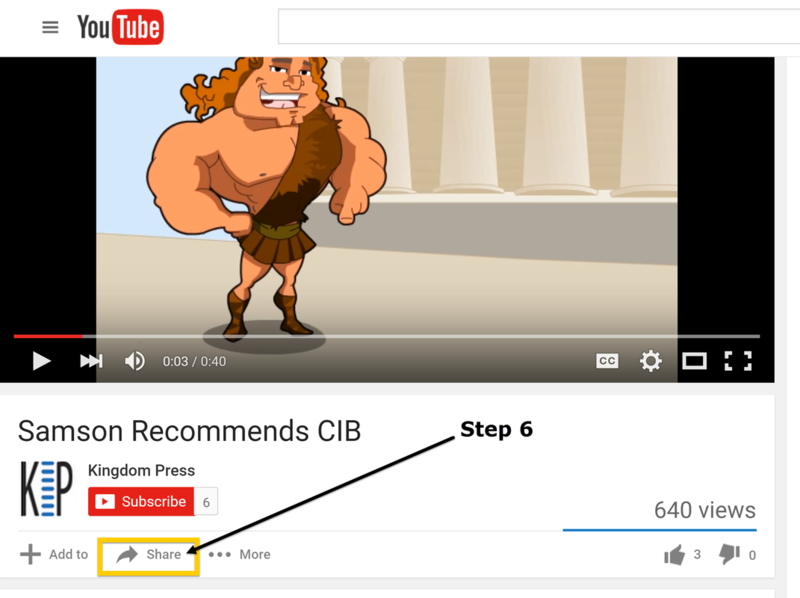 Any video that has inappropriate language and material that is not consistent with christian ethics is not allowed. 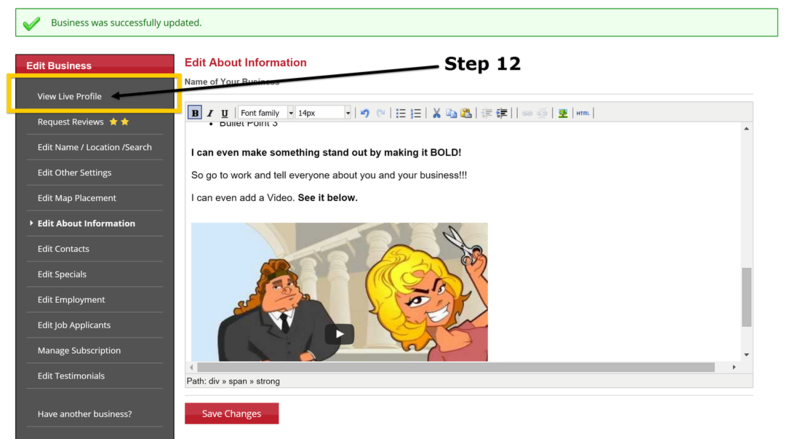 You can copy and paste the embed code from video sources like YouTube and Vimeo into you Listing if you know how to get the code. 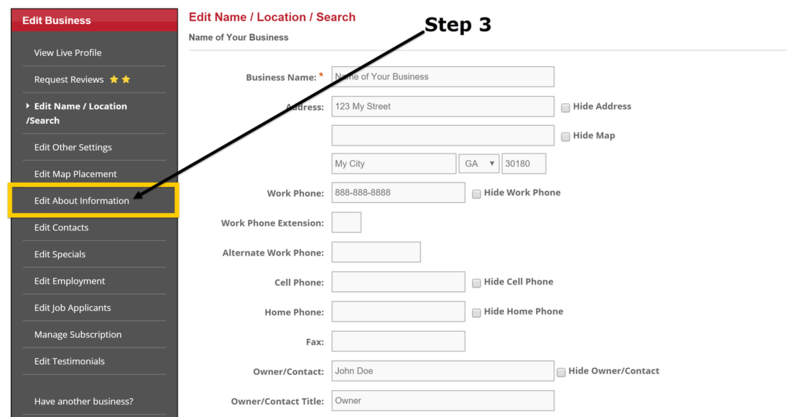 However, if you do not know how to find the embed code for your video, we will show you how to get the code from a YouTube Video and insert it into your listing. 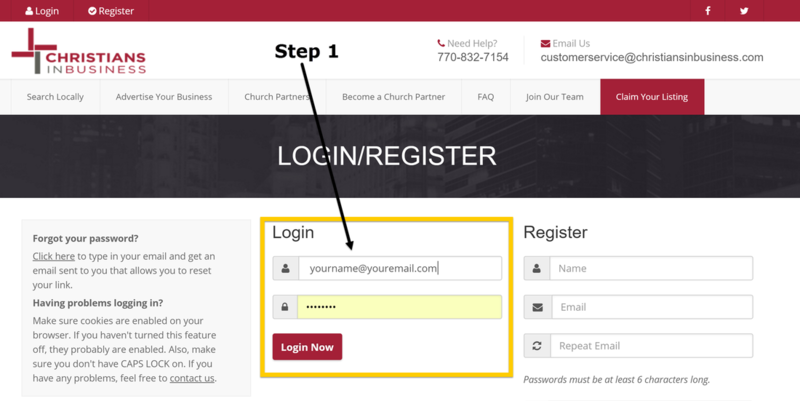 Keep following the steps below to learn how. 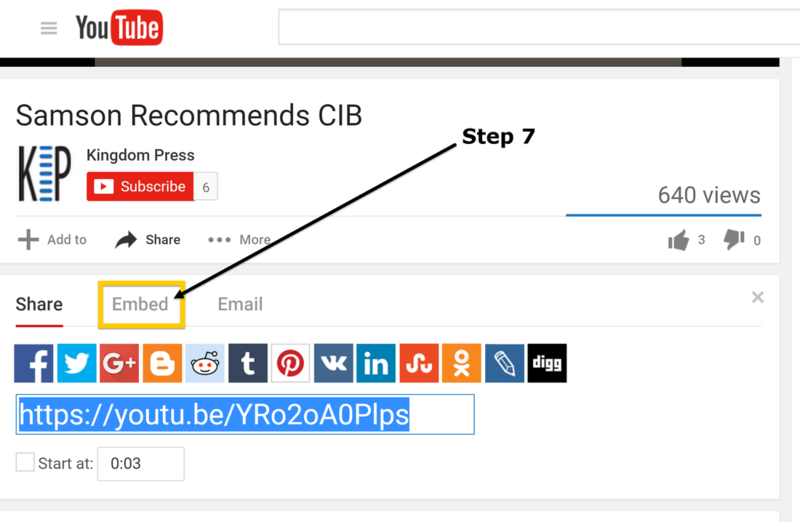 Step 6 - Find your "YouTube" Video and Click on "Share"
Step 7 - Click on "Embed". Do not use the code highlighted in blue yet. 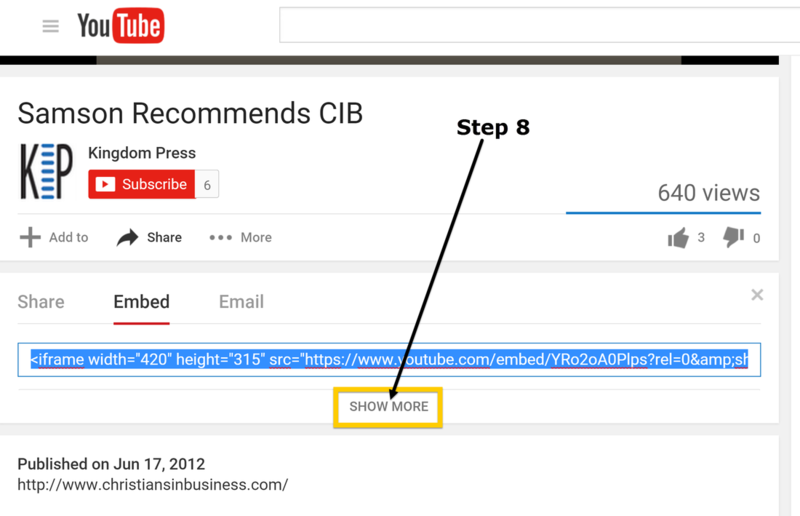 Step 8 - Click on "Show More"
Step 9 - Copy the "Embed Code"
When you get to the page with the embed code you will also be able to choose the video size and decide on the options that you would like to use. 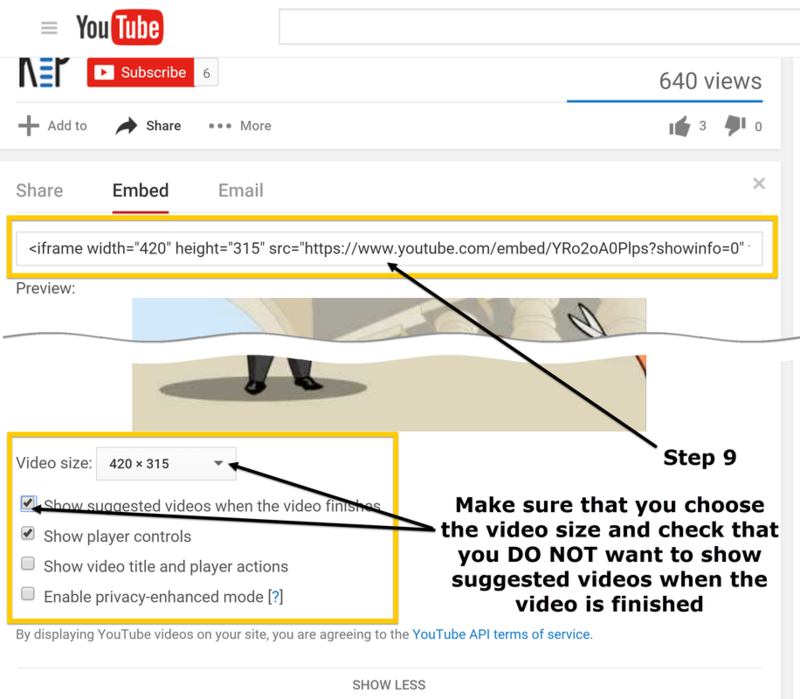 We recommend that you show the player controls but DO NOT allow YouTube to suggest videos to you customers after they see your video. Check the box next to that option and when your video has ended it will show the same thing that it showed at the beginning. This option will protect you from YouTube suggesting in appropriate videos when someone finishes watching your video. 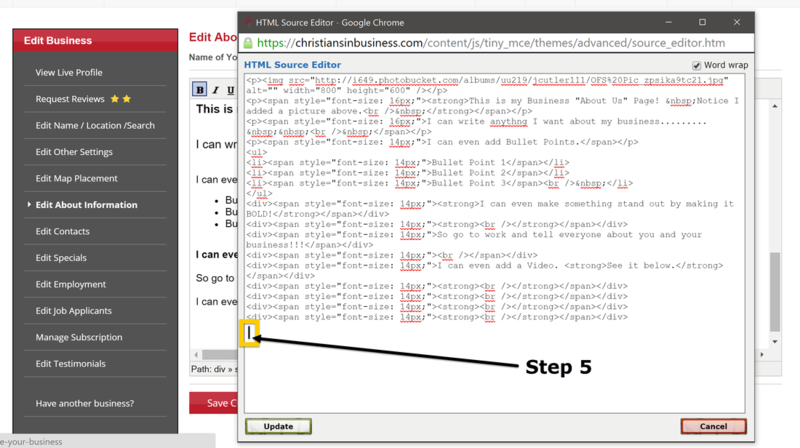 Step 11 - Paste the Embed Code of your Video into "HTML Source Editor"
IMPORTANT! 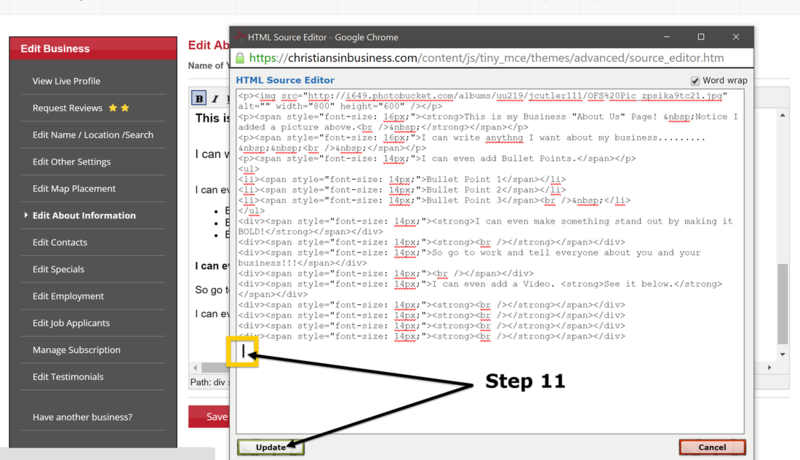 Make sure that after you paste the Embed Code into the "HTML Source Editor" that you click "Update". Then click on "Save" at the bottom of "Edit About Information". 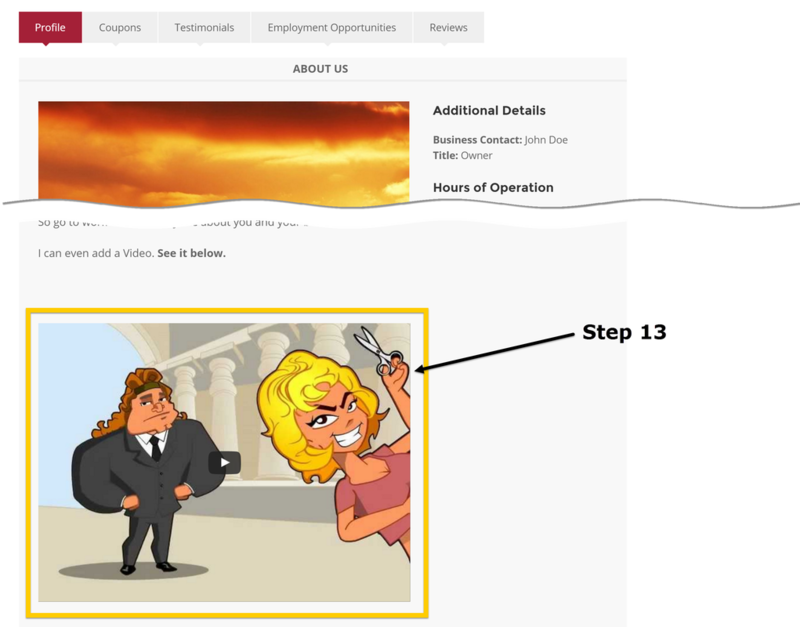 Step 13 - Congratulations! 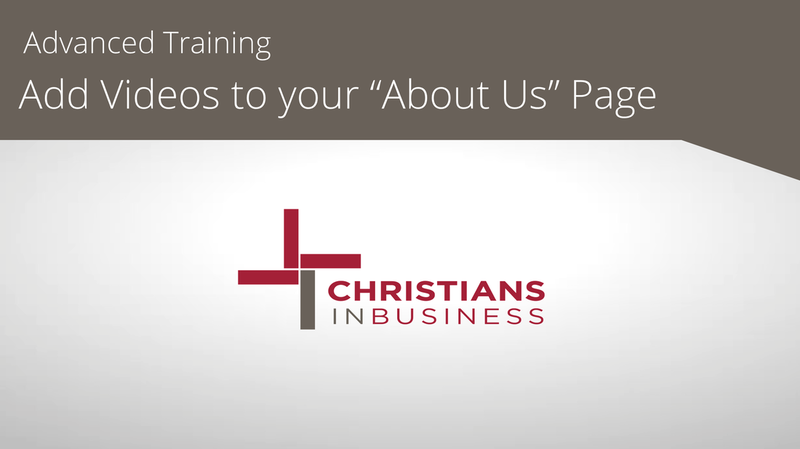 You now can see your video in your Listing.